Investors: get ready for a huge month. December is chock full with big financial news that is bound to move the markets. They range from momentous rate decisions at the U.S. Federal Reserve and the European Central Bank to an OPEC meeting fraught with disgruntled members. 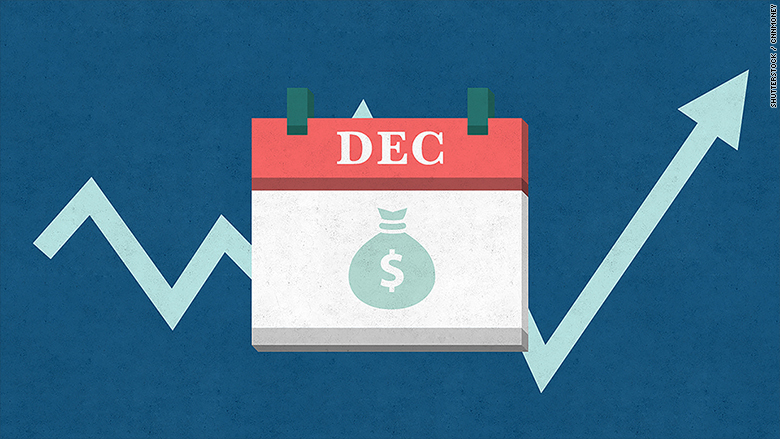 Here are four of December's big market-moving events that investors should know about. 1. More 'easy money' and another rate cut in Europe? The European Central Bank's leadership meets December 3 and many expect it will take action of some kind to boost the region's economy. The ECB began its stimulus program in March, buying bonds at a monthly rate of 60 billion euros, and it could increase that pace. The ECB could also cut its interest rate, which is already in negative territory. When rates are negative, banks essentially pay borrowers to take out money, instead of borrowers paying the bank. Low interest rates are meant to make it easy for businesses to borrow and spend. That spending could create jobs and boost economic growth. The ECB's economy -- made up of 19 countries -- only grew 0.4% in the third quarter. Unless the economy improves, experts expect the value of the euro to fall even further against the dollar. The euro and dollar could be at parity in 2016. The world's biggest economy gets its latest health check up on Friday, December 4, when the monthly U.S. jobs report is released. It follows a particularly strong October jobs report when not only were there a lot of new jobs created, but wage growth had finally picked up. The November report can confirm whether employers are really hiring in great numbers, or if October's wage growth was a fluke. The unemployment rate fell to 5% in October, and it could go below that mark for the first time since 2008 on Friday. An improving job market should translate into more Americans spending, which would boost the U.S. economy in 2016. The jobs report Friday has an extra special meaning this time: it's the last economic data hurdle for the Fed before its two-day meeting December 15-16. Barring a terrible jobs report, the Fed appears ready to raise its key interest rate for the first time in nearly a decade. No one expects the first rate hike to be big. However, everyone expects it to be the first of several over the next year or so. The Fed has said they plan to raise rates at a slow pace. Rates have been near zero since 2008. It would also signal the divergence between the Fed and the ECB, which is cutting rates. That divide will likely cause the dollar to rally more into 2016. 4. A divided OPEC meets. Will it cut production? It's a tense time for OPEC, the oil cartel led by Saudi Arabia. They meet towards the end of this week to determine whether to cut production as oil prices -- the main engine for these countries' economies -- are at less than half of what they were at last year. Saudi Arabia, the kingpin of OPEC, wants to maintain its oil production levels. But smaller OPEC countries, like Venezuela and Algeria, want to cut production in an effort to boost oil prices, and they're all but begging Saudi Arabia to change course. OPEC meets December 4 in Vienna, Austria. Few expect Saudi Arabia to lower oil production, but tensions amid members could rise even further, threatening OPEC's unity.